Hulu virtual reality allows you to experience watching movies or programs with 3D effects either on your Samsung Gear VR or other Samsung mobile devices that supported or the Oculus Rift. Hulu VR app subscribers can access the Hulu 2D library and enjoy the 360-degree environment. Hulu virtual reality allows you to stream select virtual reality content. Launch the Hulu app and choose the virtual reality content main screen and access the videos to enjoy the immersive 3D experience. Those who do not have a subscription of Hulu can also use the app, but they can only access a limited number of virtual reality videos. Hulu app can use for free, but the access to the content is limited. There will no content limit for the subscribers. The content can stream to the mobile device, game console, television with web-enabled etc. But when the subscription is only basic, they have to see the same amount of ads like the free users. Paid services streamed in 720 p HD. Hulu app can be run on Android and iOS mobile devices also. Hulu app can download from Google Play stores and Apple App, and it is free. For full access, there is need to subscribe. Hulu virtual reality can experience with Samsung Gear VR and other supported devices are Samsung Galaxy S6, Galaxy S6 Edge, Galaxy S6 Edge+, Galaxy Note 5, Galaxy S7 and others. Connect the Gear VR headset, and the latest Oculus software automatically installed on the device. The Samsung mobile which you are using must run on Android 5.1.1 version. Go to the Oculus home screen while wearing the Gear VR headset. 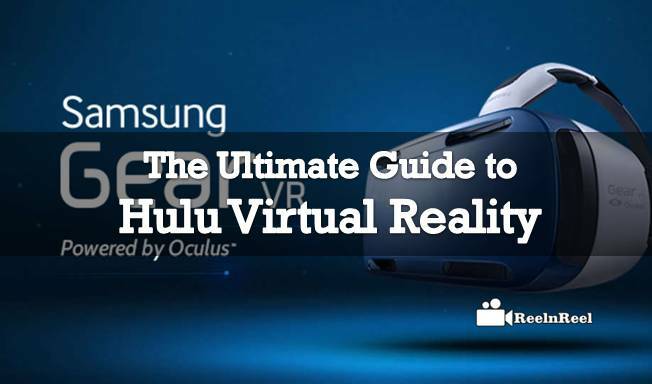 Select the Oculus store and choose either Select All or the Samsung and there select Hulu. Go to the Install or Free options using the on-screen pointer. Confirm the selection by tapping the touchpad. To log in to Hulu VR, there are two options. One is to use the Hulu mobile app, and the other is to use the website activation code. When you are using Hulu VR on Oculus Rift, there is a need to have the latest software version of Oculus and one supported computer. Go to the Oculus store and highlight the free option with the on-screen pointer. Click the select button so that the Hulu app download. Hulu virtual reality app is free. It is compatible with Windows Vista, Linux, Mac Os, Windows XP and Windows 7. When it started services, it seemed that it is going to fail, but now it has become essential for the media lives. There are some advantages and disadvantage with Hulu. Hulu is a free app, and it gets the content very fast. Hulu offers latest television shows the day after they air. Hulu VR is available on a wide number of platforms, the mobile devices, set-top boxes and consoles. It is possible to link Hulu app to the Facebook and share what you are watching. There is no limit on the amount of content that can watch on Hulu. Hulu allows accessing its content for free on the desktop computer. Hulu subscription is good for those who want to watch full seasons of the shows on different devices. Hulu can be watched on the television also. The experience of watching Hulu content on smartphones and tablets is excellent. Hulu is the best for those who want the best of the internet as well as the television.